We did a little Halloween baking this weekend and made some adorable M&M’s spider cookies! Who doesn’t love M&M’s?! Right now, you can print some awesome coupons for MARS brand chocolate! Get the FUN SIZE so you can pass the rest out to your trick-or-treaters. Just try and resist the urge to eat them all yourself! You can use any sugar cookie recipe and cut the cookies into circles. To make things easy, I just used some pre-made cookie icing that I bought in tubes. 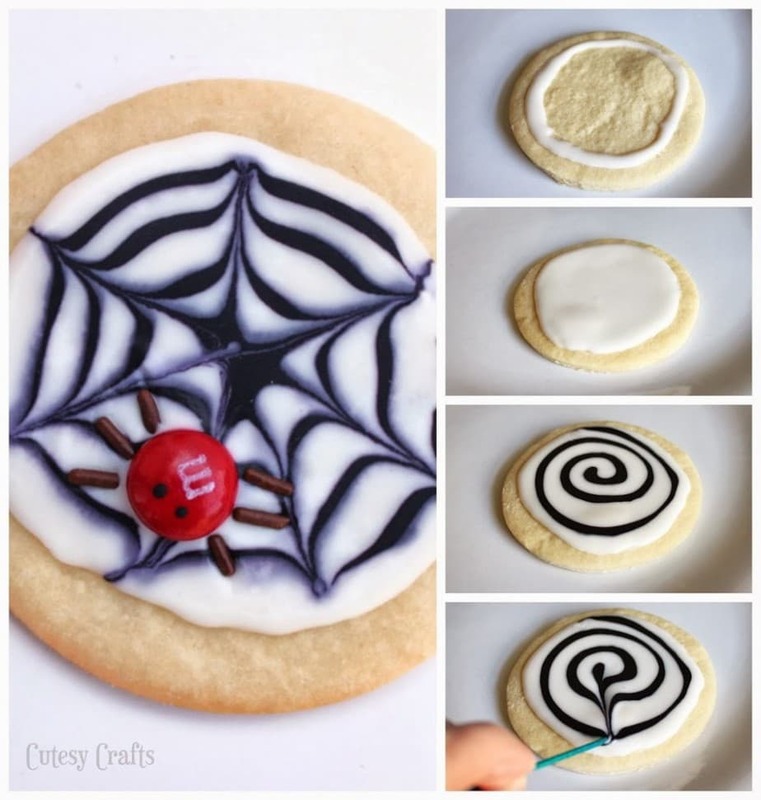 For the webs on the cookies, take some icing and make a circle. Let the circle sit for about a minute so it will start to harden. Fill in the center with more icing. Take some black icing and make a swirl around the cookie. Put a toothpick in the middle of the icing and drag it out to the side of the cookie. Do this a few more times to make a cute spider web. Put an M&M or two on each cookie, add some little dots for eyes with the black icing, and use some sprinkles for legs. So cute! The kids loved them! 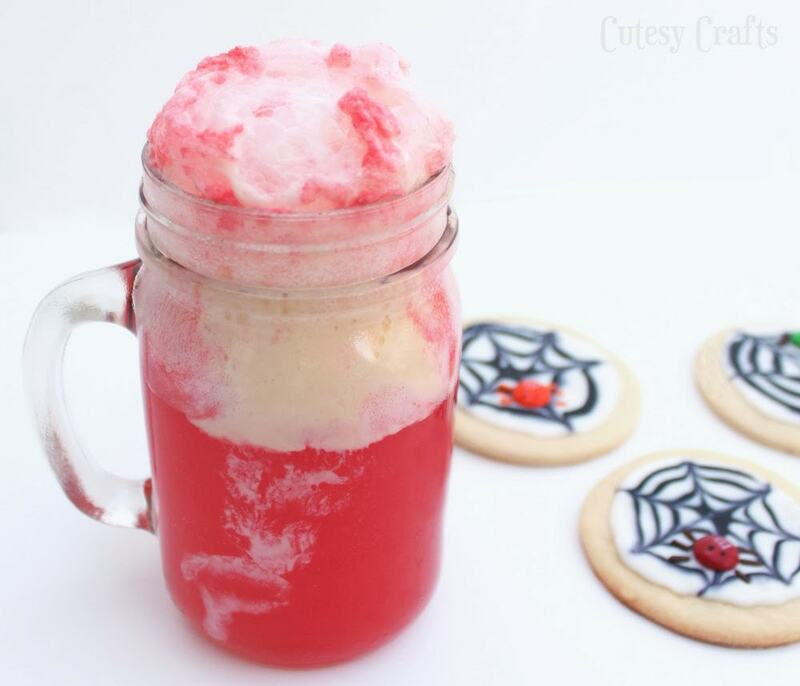 And, of course, if you give a kid a cookie, they are going to need a fun Halloween float to wash it down. 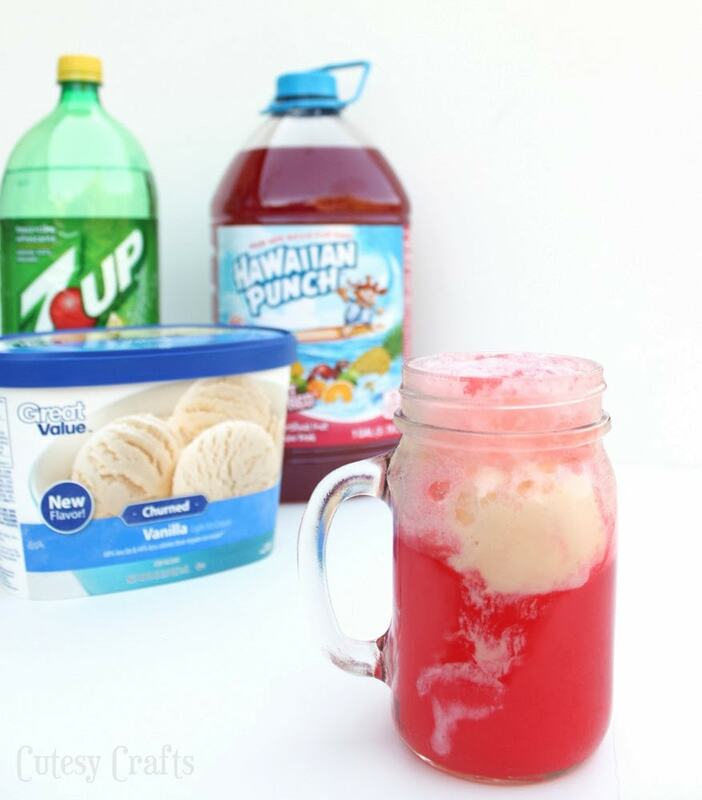 Just scoop some ice cream into a cup, fill it up halfway with Hawaiian Punch, and the rest of the way with 7UP! Put some more 7UP in, and it kind of bubbles out the top. Makes it look like some sort of potion. Cool! 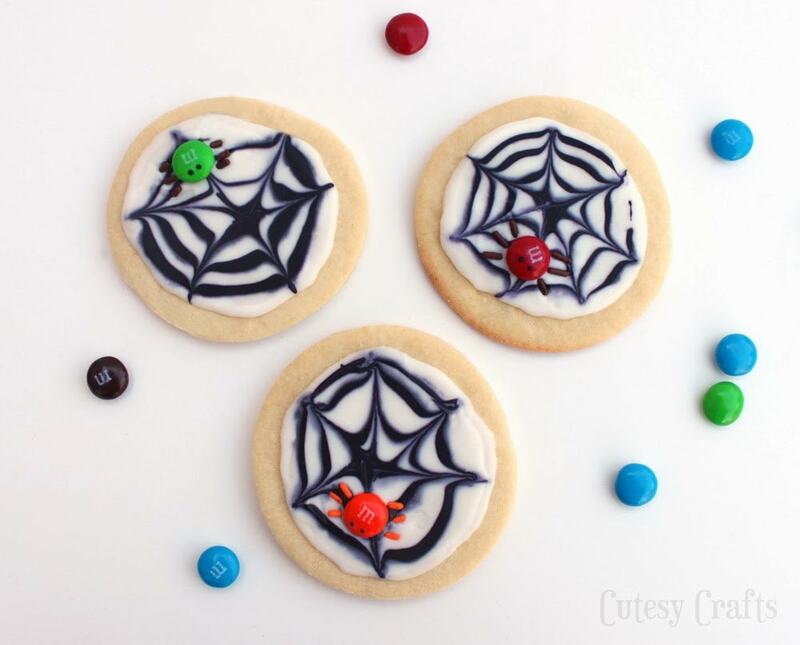 These spider cookies are such a fun treat for a Halloween party! For more fun Halloween ideas, check out this #SpookyCelebration Pinterest board! Yuuuumm! Both of these look so good! I really want one of those floats right now. Pinned! Thank you, Alli! So much sugar! Yum! Jessica, so cute and festive! I can’t wait to try the punch! Thanks Kaysi! They were so much fun to make. 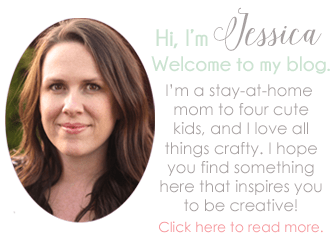 Wow, Jessica! 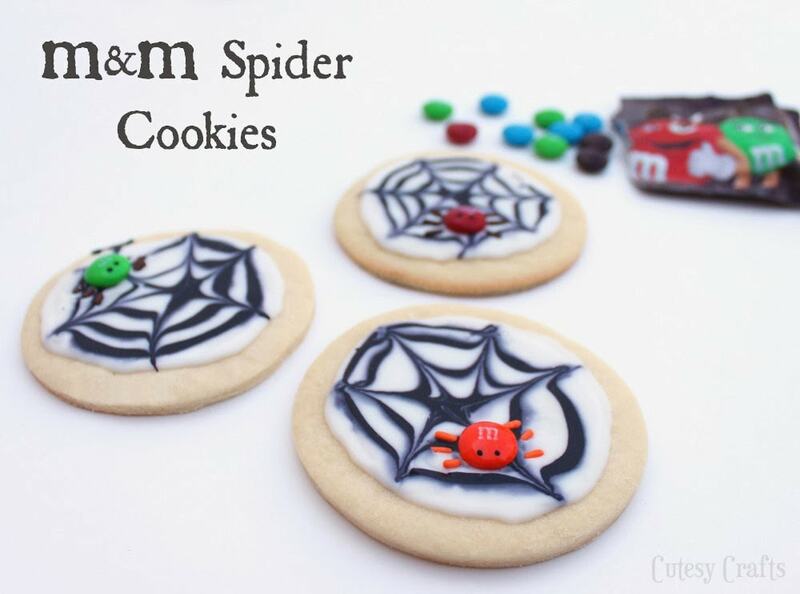 I’m so impressed with your culinary art with those spider cookies – – super cute! I want to eat my computer screen. Lol. And I love floats of all kinds, even Halloween ones – – might need to try that for our Costume Party! Thanks for the inspiration, girl. Thanks, Amy! They were a lot of fun to make! Oh my gosh, those have to be the cutest spiders I’ve ever seem! I’m definitely pinning those for next year! These are just darling! So creative!